@midnight back for season 4 on Comedy Central! Chris Hardwick will once again take 3 comedians through the last 24 hours of the best (and worst) that social media can offer. Taped as live Monday through Thursday, the social media juggernaut that is @midnight returns to Comedy Central for a 4th consecutive season! Chris Hardwick will once again take 3 comedians through the last 24 hours of the best (and worst) that social media can offer. ionoco is proud to have been involved in the 444 episodes to date - No wonder it received a nomination for Outstanding Interactive Program at the 66th Primetime Emmy Awards. It received a nomination and won Outstanding Social TV Experience at the 67th Primetime Emmy Awards. 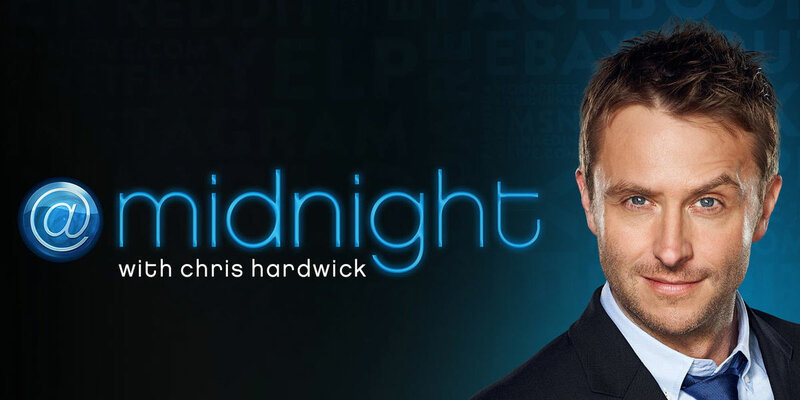 Created by Alex Blagg, Jason Nadler and Jon Zimelis @midnight is syndicated in Australia on SBS2, Comedy Central Extra in the UK and MuchMusic in Canada.